There are plenty of male garden gnomes on the market, but when you need a woman's touch, just order our 20" Zelda Garden Gnome! This little lady is just so adorable that you won't be able to imagine your yard without her. She has the sweetest little outfit that includes a green top, cute gray boots and of course the iconic pointed red hat. Instead of a gray beard like the guys, she sports long gray locks that make a lovely addition to this garden statue. Our Zelda Gnome is more than just a pretty face, however. She's also incredibly tough thanks to her weather-resistant cast stone resin design. 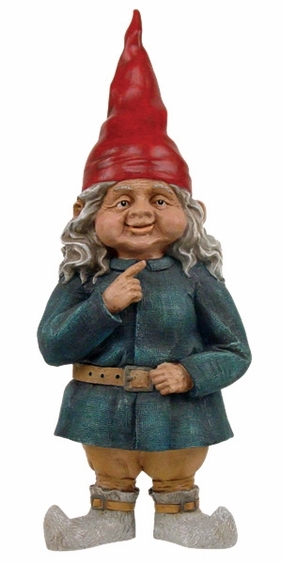 She stands 20 inches tall, so she'll fit right in with the rest of your gnome collection.